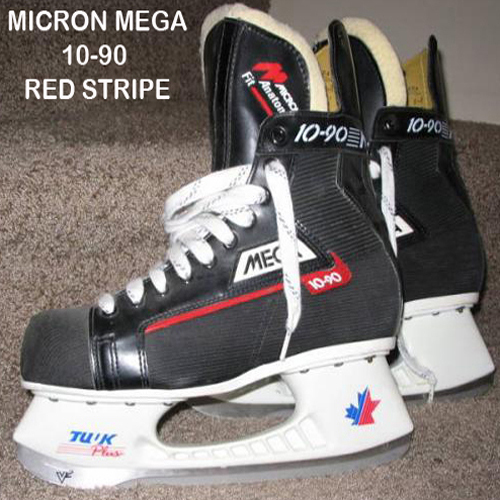 Micron produced ice hockey equipment in Canada in the 1980&apos;s and early 90&apos;s.
In the 1980&apos;s an engineer by the name of Icaro Olivieri used injection molding techniques to produce plastic molded ice skates and ski boots, he founded a plant in Montreal and began producing his Micron branded skates taking on Bauer and CCM&apos;s log standing dominance in the skate market, his inspiration came from Lange Skates who in th 1970s started creating ice skates in the same way they created their ski boots. 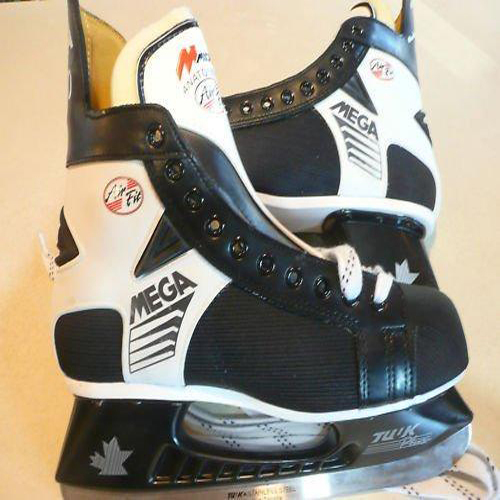 Although they were best known for their &apos;Mega&apos; range of Ice skates and most notably the Micron Mega 10-90, Micron Mega 10-70 and Micron Mega 10-50. They were the pioneer of the unique &apos;Power Clip&apos; technology that claimed to give increased power to the skater. The &apos;Power Clip&apos; was a white plastic square attached to the sole of the boot on the inside of the foot and had the first three (for small-medium sizes) or four (for large sizes) lace holes of the boot in it. 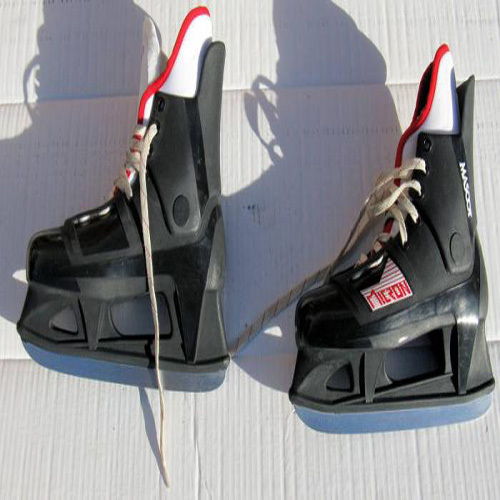 The design of the boots made the skater lean forward slightly when skating which meant they were ideal skates for balancing weight when skating backwards. This proved popular with ice hockey players that played defense. Micron was eventually purchased by Bauer Hockey in 1994.